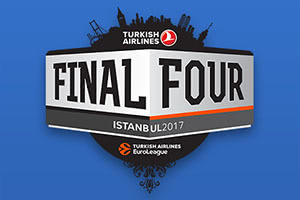 There was an outside chance that three teams from Istanbul may have been playing in the Final Four but in the end, it is only Fenerbahce that will represent the host city in the Euroleague Final Four. The final spot in the Final Four was clinched on Tuesday night with Olympiacos defeating Anadolu Efes Istanbul. The Greek side held on in the end, making the most of home court advantage to clinch their sixth Final Four spot in the previous 9 seasons. Vassilis Spanoulis was in fantastic form, offering 22 points and 6 assists in the win while Georgios Printezis managed to provide 14 points. However, it was a late three-point effort from Printezis that got the party started, allowing the home fans to breathe a little bit easier near the end of the game. At half-time, the away side led by a score of 37-41 but the Greeks opened up with a 9-0 scoring run and never surrendered this lead at any point in the second half. Cedi Osman offered 11 points for Efes while five Anadolu players grabbed 10 points apiece but in the end, it wasn’t enough for a famous away win. The Sinan Erdem Dome, the home of with a capacity of 16,000 for basketball games, will be the venue for the Final Four in May. The venue will be very familiar for Fenerbahce who used the venue for two years from 2010. 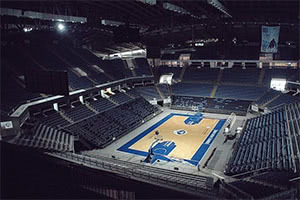 The venue was the Final Four host in 2011 and will also play host to the 2017 EuroBasket event, which is set to take place in August and September of this year. Third/Fourth match and the Euroleague Final take place on Sunday May 21st. We have two weeks to look forward to these games while the players have two weeks of rest, recovery and very hard work to give themselves the best chance of clinching glory at the end of a fantastic Euroleague season.